Fruit and vegetables feature strongly when footballers fail to deliver a nation’s dreams. 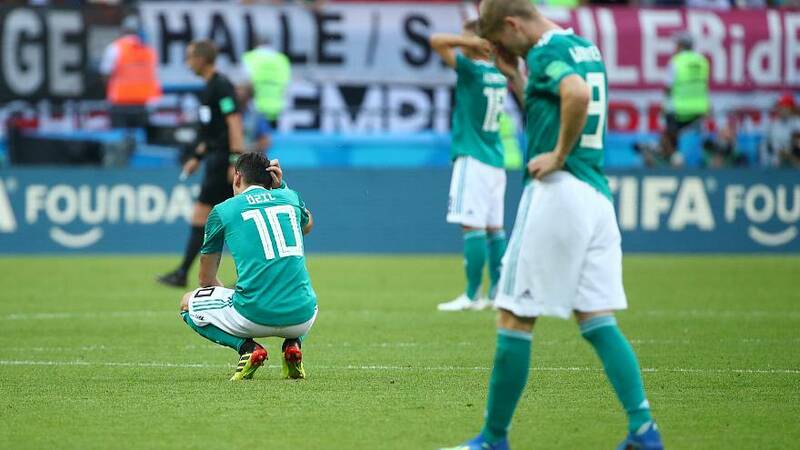 Following their premature World Cup exit, Germany’s red-faced team are officially “Gurkentruppe” — the Gherkin Squad — a common description in the country for those who do not bring the results expected of them. For England fans, the reduction of Die Mannschaft’s status to that of a cucumber-like fruit used in pickling may evoke memories of Euro 1992. Defeat to the host nation in Stockholm dumped Graham Taylor’s side out of the tournament, prompting this infamous headline in The Sun: “Swedes 2 Turnips 1”. The following year the same paper again pictured England’s late manager as a root plant from the mustard family, greeting his resignation (after failure to qualify for the World Cup) with the phrase “That’s Yer Allotment”. In France, a poorly-performing player may be called “une trompette” (a trumpet), while a whole team which flops becomes a herd of goats (“vous êtes des chèvres!”). Spanish fans may depict their own failures as blankets (“son unos mantas”), worn-out players in Russia are likened to weary dogs ("Бобик сдох" — "Spot is dead!”), and goalkeepers everywhere tend to be known as vampires… if they’re afraid of crosses. Referees are not exempt. In Hungary unpopular decisions may bring chants of “blow your nose, not your whistle!” (“Az orrod fújd, ne a sípot! "), while in Spain a simple rhyme spells out the message that the man in the middle is a sausage (“arbitro, chorizo!”). In Russia supporters goad that a bad ref should be turned into soap (“Судью на мыло!”). Referees in England used to give “Fergie Time” — a reference to Manchester United’s former manager Sir Alex Ferguson — according to rival teams’ supporters who felt that referees would give as much added time as was necessary for their opponents to score a decisive goal. In Italy, players who leave it late may still “segnare in zona cesarini" ("score in the Cesarini zone"), after the Juventus star from the 1930s famous for his last-minute goals. Failure to qualify for the 2018 World Cup means Italian dreams of seeing the goal net blown in (“si gonfia la rete”) have long been dashed, though the French are still hoping to see their strikers unleash “une patate” (literally a potato, but in this context a powerful shot), to “faire pleurer les filets” (“make the nets cry”).